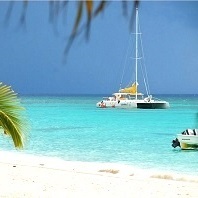 Many people time their vacation to the Dominican Republic around the weather patterns. The most popular times to travel to the Dominican Republic are the late winter and early spring months of February, March, and April. At this time of year, the average temperature during the day ranges 82-86 °F or 28-30 °C. The temperature at night drops to about 65-72 °F or 18-22 °C on average. There is also less rainfall during these months. This seems to be about perfect for some people. However, if you are looking for higher temperatures, your best bet are the months of June and July and it rains less during these summer months than in the fall. December and January are pretty dry on average as well and the temperatures still quite warm if you are staying on the coast, as most tourists do. This is probably why an increasing number of people are visiting the Dominican Republic during their winter break and Christmas holidays. While the weather in Punta Cana is usually relatively stable, "El Nino" and "La Nina" effects can cause annual variations in climate; the former raises the temperature slightly, while the latter sees it fall lower than usual. There are also variances in rainfall. The temperatures in January go in the day-time up to 27 °C, at night they drop to a pleasant 22°C. Bring some warmer clothes for the evenings. February is in the mid of the dry season. Plenty of sunshine, moderate temperatures and hardly any rain. It can be a bit chilly late evenings and early mornings. 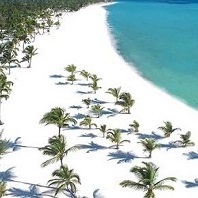 February is high season in Punta Cana and resort prices tend to be high. In March it starts to warm up again. During the days it is an average of 28 °C and the evenings average 23 °C. It is still dry season so more then a few drops of rain is very unlikely. April has the same temperatures as March (28 / 23 °C), but it is the final month of the dry season. Especially towards the end of the month you can see more rain. The humidity hikes up and it feels a lot warmer. The first rainy season end mids June, but the temperature goes up once again. The mid-day average in June is 30°C, while at night it hardly drops below 24 °C. Make sure you pack light clothes, but also count on rain. The hot and humid season is there... July is generaly fairly dry, beside some heavy showers that mostly only last up to a hour. The maximum temperature averages 30 °C and the minimum temperature is around 25 °C. Pack light clothes, suitable for hot weather. The heat continues into August and the second, more serious wet season starts (this season lasts until the end of November). Humidity goes up again and temperatures range between °C and 25 °C. Pack very light clothes. The weather in this month in Punta Cana is similar to August. September is also the month of more serious hurricane activity. When a hurricane passes or with a tropical storm you can have two - three days overcast weather with some rain. On some days the heat and humidity can become unpleasant when you leave the beach stip where there is always a refreshing breeze. At the end of October the is starts to cool down a bit, the temperatures stiill reach an average of 29 °C during day time and it stays 24 °C, but the humidity goes down a bit making is feel a bit cooler. Be sure to pack light, airy clothing. The second wet season ends in November. The humidity goes down, making it more pleasant. And the hurricane season comes to its end. Now the 'endless' sunshine days start again. The dry season starts in December with temperatures between 28°C and a pleasant 23°C. Mind you that for some reason the weather during Christmas always is unstable. It even can give some showers then.